You maybe can remove these plugs, but what you can't get away with here is making a sign without getting red penned (click to enlarge). Thanks, Caitlin. I like the extra (incorrect) apostrophe in "plug's". 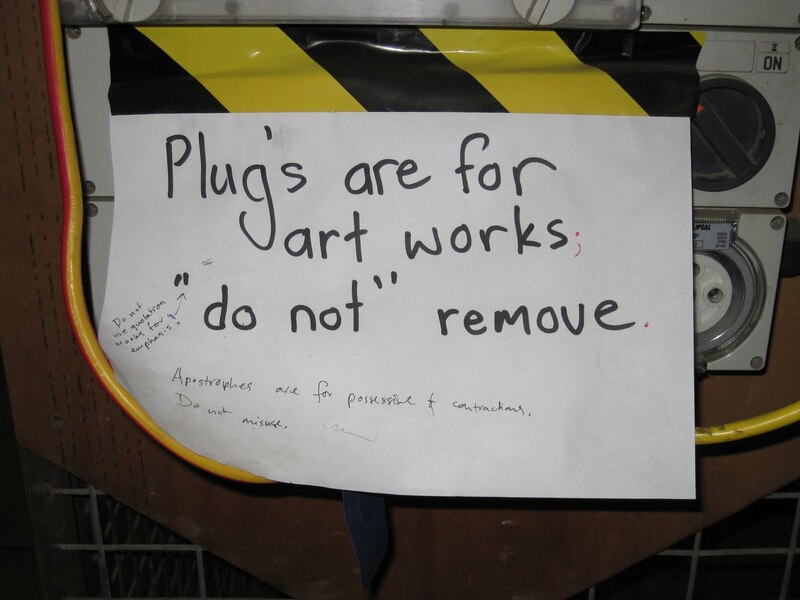 It worries me that someone missed that apostrophe in "plug's" when editing this sign.